It was a style journey back through time with Mazelle Studio as the brand took guests on a special fashion retrospective. Mazelle Studio, in collaboration with Elpis Megalio, Jazzhole, Urban Nest and Dricky organised the ultimate vintage fashion experience. Mazelle Studio stuns guests with a vintage fashion extravaganza filled with nostalgia- Nostalgia Magic. Nostalgic Magic, as the name implies, was created to give featured fashion designers artistic liberty to express their individual interpretations of “vintage fashion”; taking guests back in time to a nostalgic period in their lives. Clients and fashion enthusiasts were treated to an evening of nostalgic memories, fashion, art and creativity. Each designer had a unique creative space which reflected their fashion muse and inspiration; Elpis Megalio, for instance, found inspiration in a traditional European and Parisienne soiree with mannequins showcasing the designer’s vintage collection. 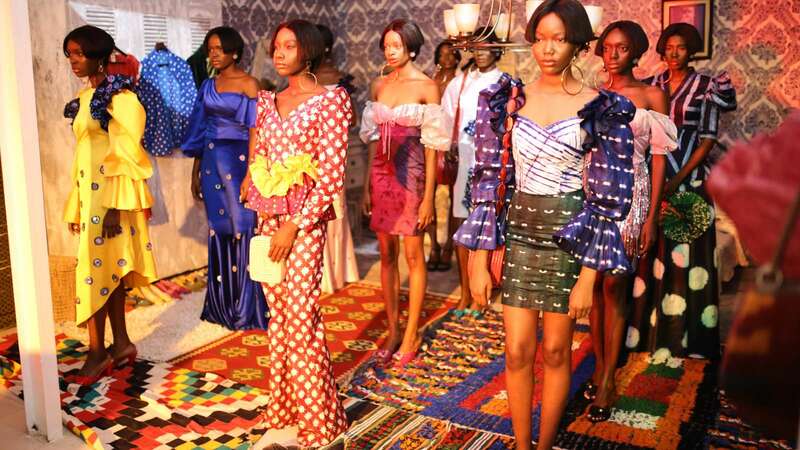 Mazelle studio, embraced a Nigerian-centric theme, infusing memories from her bedroom into her fashion set including a vintage bed, dressing table, hand-oven mats and a picture collage of old family photos. Nostalgic Magic was truly a magical journey through time as guests enjoyed retro music covered by Jazzhole along with old records from the legendary King Sunny Ade on sale. Food was presented in traditional woven baskets and palmwine-infused cocktails and drinks served in calabashes. It was a rare chance for everyone to experience Nigeria of the earlier years. In attendance were celebrities and influencers such as Toni Tones, Eki Ogungbor L.A.X, Brymo, Nowe Isibor and many others. Mazelle Studio is a two-part fashion house featuring Mazelle RTW, which provides ready-to-wear pieces for stylish men and women and Mazelle Bridal, a bridal oufit for the fashionable bride. Some of their clientele are Omotola Jalade Ekehinde, Toyin Lawani, Idia Aisien, Bolanle Olukanni, Falz, Yemi Alade amongst others.